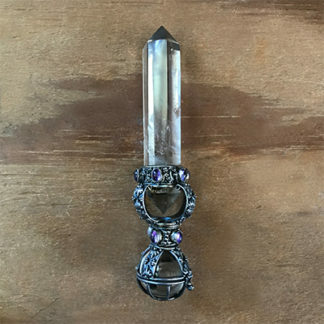 The Azel Wand is crafted from lost wax casting, hand polished, antiqued, and ended with a quartz sphere on one end, a quartz wand on the other, with smoky quartz accents on the handle. 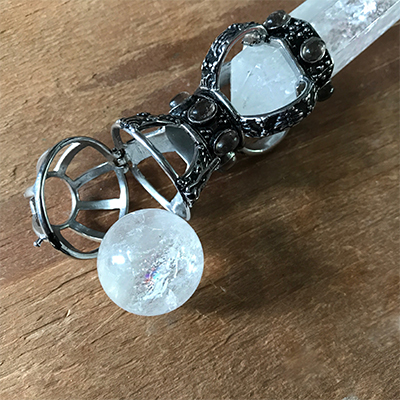 The wand design is inspired by medieval versions of dorje vajra wands. Slightly tilted design to ring true to tradition. 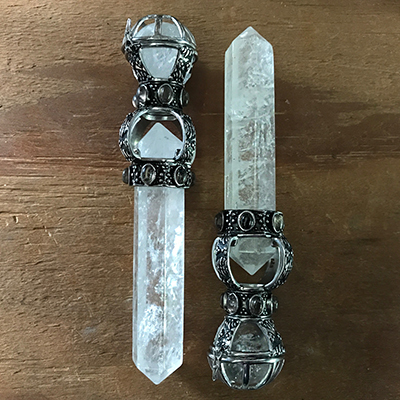 Antique versions are highly collectible and newer versions of these antiques are not made much anymore. 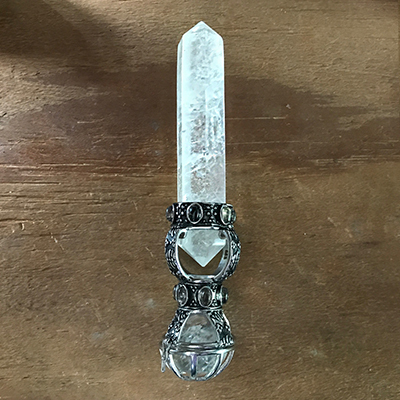 The old world uses for these tools were widely used in sorcery and healing. 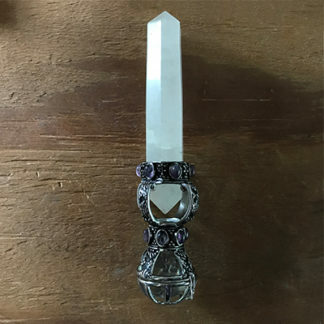 The original name of these glimpses into the old world and had the significant meaning of “to be(come) powerful.” Usually accompanied by the Bell, Cup, Birth Plate, Athame, and Retriever; these subconscious tools call us to our wakening. Some more than others. This piece will be very limited.